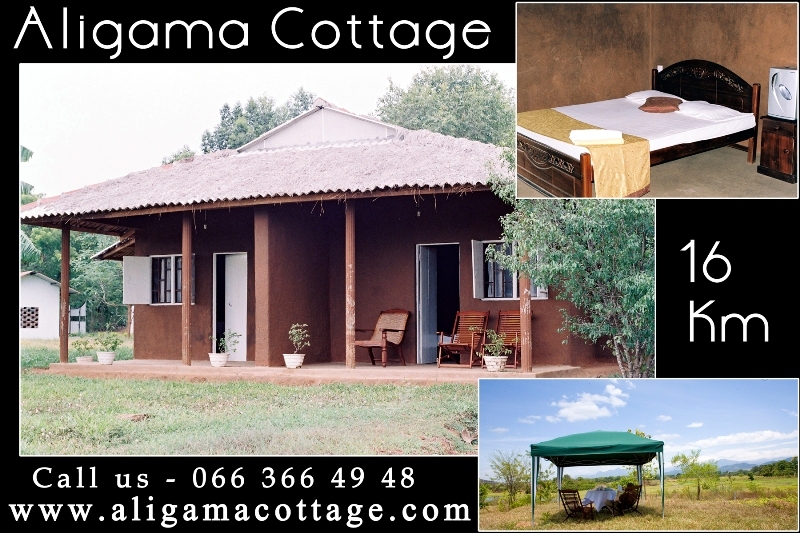 Aligama Cottage is at Wasgamuwa village. Ten minute drive from cottage to park. Aligama is situated at one corner of the village. The hotel runs its activity in a calm, quiet and isolated place at Karwgahawawa (lake).